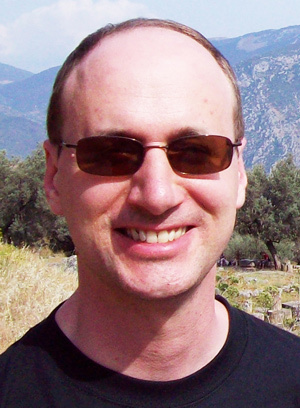 Christopher S. Morrissey is a professor of philosophy at Redeemer Pacific College, the Catholic liberal arts college at Trinity Western University in Langley, British Columbia, where he also teaches courses in the Latin language and in Greek and Roman history. He studied Greek and Latin at the University of British Columbia and has taught courses in these languages and in other classical subjects at Simon Fraser University. Morrissey specializes in philosophical theology and his recent focus has been on its genesis in the monotheistic speculations of Hesiod and Plato. He has also published on the mediaeval Latin philosophy of Thomas Aquinas and his commentatorial tradition, which includes John Poinsot, a.k.a. "John of St. Thomas", from whom we may trace a foundational doctrine of signs for the interdisciplinary field of semiotics. Morrissey's current research explores how Eric Voegelin's philosophical studies of the historical processes of symbolization complement the pioneering interdisciplinary work by the semiotician and linguist Thomas Albert Sebeok towards a global semiotics. If you were on jeopardy and alex trebek asked you to the name the earliest famous author in history, you might blurt out Homer. Chris Morrissey, on the other hand, might calmly say Hesiod. It's actually a toss-up as to whether Orpheus, Musaeus, Hesiod or Homer came first. There is agreement that the likes of Aesop and Herodotus came a bit later. But of course this is western world thinking, neglecting the Persians and the Chinese. Hesiod was, roughly speaking, a contemporary of Homer. Both were essential in establishing Greek mythology but Hesiod is credited as the first 'European' writer to include personal details of his life. Arguably, that makes Hesiod the first modernist author in the western world. At the very least, we know Hesiod was a real person. But scholars have their doubts about Homer, who does not speak out in his own name, unlike Hesiod. Hesiod also wrote about farming, astronomy, time-keeping and-wait for it-economics. Maybe that doesn't excite you, but it turns the crank of Chris Morrissey, a Hesiod revivalist who lives in the Fraser Valley. If you are someone who doesn't know your Homer from your Herodotus, don't panic. There won't be a test at the end of this. The story of how Christopher S. Morrissey came to provide new translations for Theogony / Works and Days (Talon $17.95) begins at the University of Manitoba where he studied physics in the 1980s. He ended up writing database software for sixteen years for investment dealers and money market traders. But studying physics had led Morrissey to Aristotle's Physics. He loved those "crazy equations with cool Greek letters. "; He also enjoyed deciphering the philosophical meaning of relativity and quantum mechanics. And he loved languages. While running a computer software company, Morrissey picked up university credits part-time, working around his flexible computer consulting schedule. He ended up with degrees in Ancient Greek and Classics, then an interdisciplinary Ph.D. from SFU involving a philosophical study of Greek tragedy and Shakespeare. Around 2000, Morrissey switched to teaching Greek, Latin, and Classical Mythology at SFU fulltime. Last year, while preparing to teach a six-week course on Hesiod at SFU Harbour Centre-having taught Hesiod over a dozen times-he was suddenly taken aback by the limitations imposed on the text by translators. "I was suddenly blown away,"; he says, "seeing things I hadn't seen before. Talking about these insights with my students got me even more excited. I spent so much time telling them what was wrong with their translation, I was compelled to make my own translation and read it out to them week by week. Garry Thomas Morse at Talonbooks responded positively to Morrissey's translation of the Prometheus myth, and "thanks to all these amazing folks at Talon,"; Morrissey was given the green light for an unparalleled B.C. book, one that he hopes will make Hesiod accessible in a fresh way, beyond the classroom. According to Morrissey, Hesiod's innovation was to criticize both Homer's vision of order in the cosmos and the societal disorders of his own time. One could describe Hesiod as the anti-Homer. Morrissey has been influenced by Eric Voegelin's studies of history and his analyses of the experiential origins of human culture's symbolic forms. Hands up anyone who disagrees? �?� In his 800 verses of Works and Days, Hesiod describes the fundamental importance of honest labour, attacking idleness, corruption and usury. It is considered the first work of economic philosophy. Hesiod also outlines five Ages of Man, culminating in his own Iron Age in which bad men (such as his brother) prevail, most humans are mired in misery, and might makes right.